You can really have no idea how excited I am to announce this one. 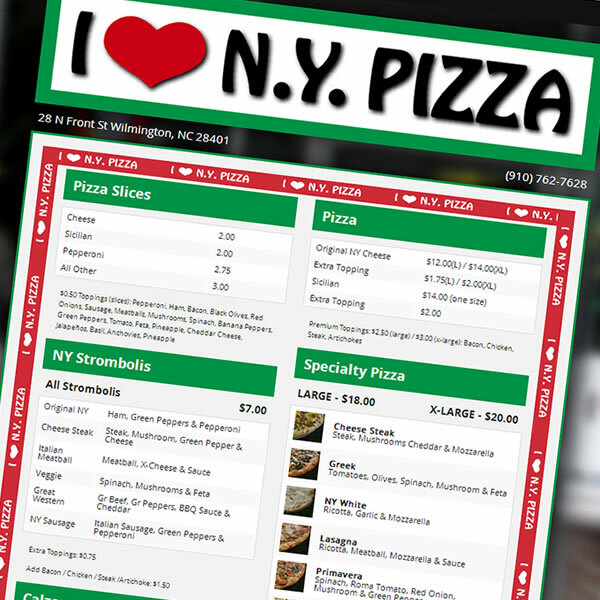 We have launched the web site for a place I have loved for *years*; I Love NY Pizza in Downtown Wilmington. We played off the old and new designs for their iconic menu and came up with a web design that’s A) easy to navigate, and B) captures the atmosphere of this staple of Downtown Wilmington cuisine. There are only two or three businesses here in Wilmington that I feel don’t need web sites. Whitey’s was one, but they’re closed. Britt’s in Carolina Beach is another, and I Love NY Pizza is the other. I’m pretty flattered that they came to Akira Media Designs for their first venture online.